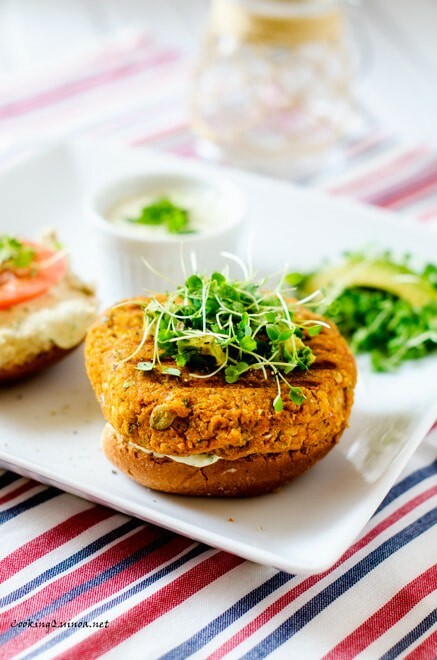 This Sweet Potato Burger is the perfect vegetarian addition to your next grill out. With just the right amount of kick from onion, garlic, cilantro, and seasonings you will welcome the cooling Avocado Yogurt Sauce as a topping. Can’t you guys believe that July 4 is upon us? Me neither. I know that my life has been a little bit crazy lately, but for all that is holy how did it get to be (almost) July already? For me, early July means not only that the hubs is a year older but that Skye turns three months old. In all seriousness, I’m feeling pretty great about Skye turning three months old because with the boys I felt like the first three months were the hardest. Well, until you hit the 2’s and 3’s…but let’s not talk about that, K? Allow me to immerse myself in the thought that there is no way my sweet little angel will be nearly as wild as a toddler as her crazy brothers were. While I continue to ride my pink Unicorn and dance with the fairies, how about we share a Sweet Potato Burger? 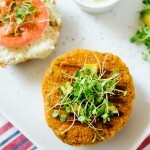 Just in time for your July 4th grill out, this is the perfect veggie burger when you want something a little different. I love sweet potatoes, but I’m actually surprised that I liked them so much in this Sweet Potato Burger. 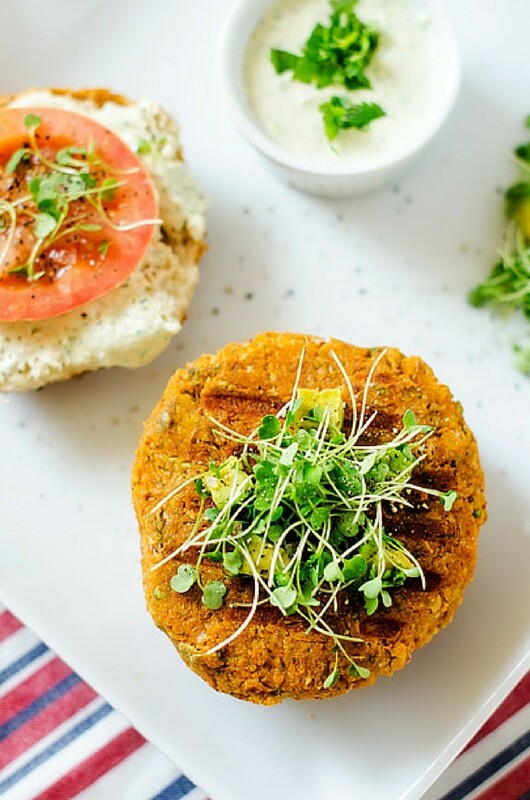 Not only do they help the hold together factor (making this veggie burger much more grill worthy,) but they help to create a veggie burger with a flavor profile that is truly unique. Everyone knows that a good burger needs a great sauce. (It’s like a rule in case you forgot.) This Avocado Yogurt Sauce has the perfect amount of kick to counterbalance the slight sweetness of the burger and is so good you just may find yourself putting it on everything. 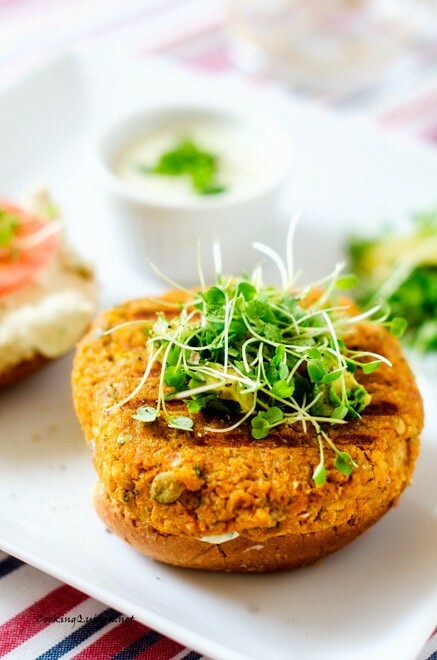 This Sweet Potato Burger is topped with an amazing avocado cilantro yogurt sauce. The perfect vegetarian addition to your next grill out! Preheat oven to 400 degrees. Pierce sweet potatoes several times with a fork. 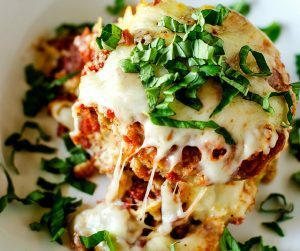 Plack on a baking sheet and cook for 50 to 60 minutes, until tender. Allow to cool. Discard skin and mash. If using flax egg, combine 1 tablespoon ground flax seed with 3 tablespoons warm water. Mix well and set aside. In a food processor pulse 1 cup of the potato, chickpeas, quinoa, flour, pepitas, cilantro, onion, garlic, egg, Dijon, chile powder, cumin, paprika and salt until the mixture is chunky. (Do not over process.) Form into 6 patties and refrigerate for at least 1 hour. Heat a grill pan or indoor grill to medium high and brush with oil. (You may also use and outdoor grill.) Cook for 10 minutes per side. 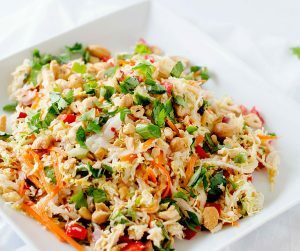 To make the sauce combine ingredients in a food processor and process until smooth. The yogurt sauce is easier to make than I thought! Can these be frozen? If so, before or after cooking? Yes! You can freeze them either before or after cooking.